Thanks to Oscar for the sample. Appearance: Dark gold and very fizzy. Nose: American lager, apple juice, light brown sugar. On the palate: Full bodied and sweet. Apple crisp. Finish: Medium long and sweet with a slight apple flavor. Parting words: This is not a bad cider at all. It’s very drinkable and it’s basically what one would expect from a big brewery cider. My biggest complaint is that it is much too sweet for causal sipping or with a meal. I love drinking cider on a hot summer afternoon or with lunch or a light supper, but this is not one I would reach for at those times. It drinks like a dessert fruit wine in spite of claims that it is in a drier “European style” by marketers. It is nothing of the sort. The prices I’ve seen have been on par with micro-brewed ciders which makes it too expensive for me. Finally the fact that it’s brewed in the US while being marketed as an import complete with a pretentious pronunciation and spelling irritates me. 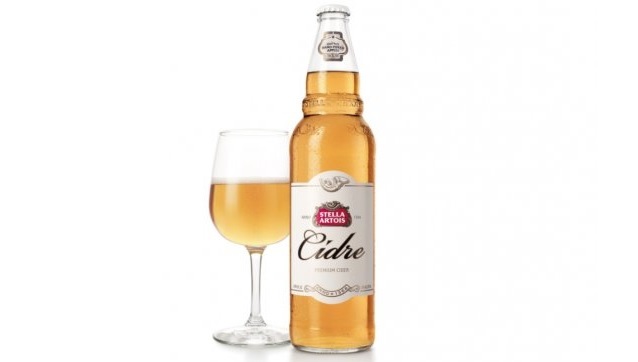 At any rate, Stella Artois Cidre is mildly recommended.